I can’t stress enough how important a legible set of house numbers is. You want your friends to be able to find your home right? Well…here’s your chance! Sure you could run to the hardware store and just pick up a set of boring numbers. 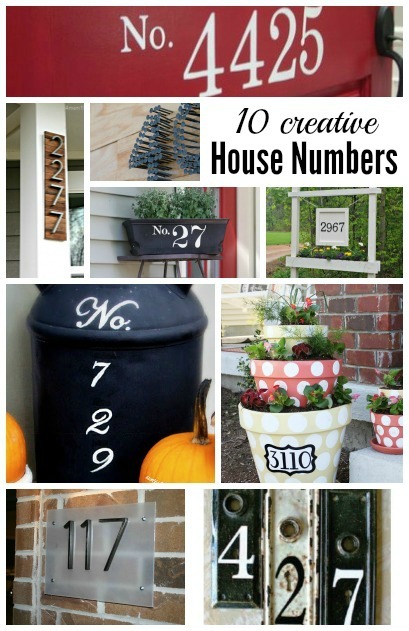 But better yet, why not add a little personalty with these simple creative house number ideas. Find something that represents your families style. Nothing generic here! Never again will you have the issue of friends not knowing where your house numbers are! 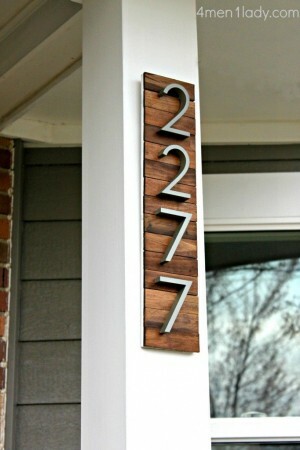 Modern House Numbers ~ I love the combination of metal and wood. I bet you will never guess what she used at the wood backing for these little numbers. So genius! 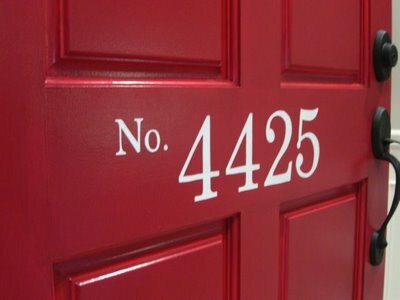 Painted Front Door Numbers ~ Clean, simple and so easy to read. Plus all you need is a little paint and a steady hand! Perfect if you have a painted front door. 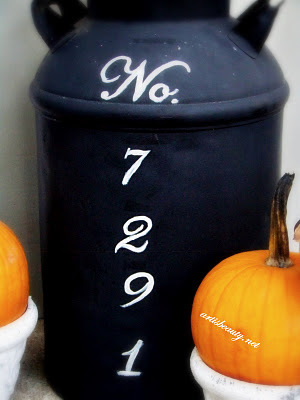 Old Milk Can turned Address Marker ~ Add a little country charm to your front porch with this adorable numbered milk can. 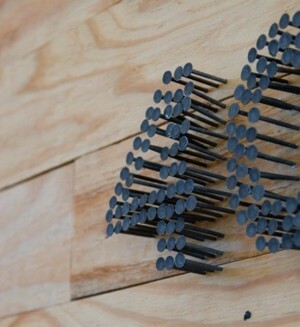 Nailed It ~ I love this simple idea. Frugal, modern and so easy! I am pretty sure that I could find everything needed for this project right in the garage. Love it! 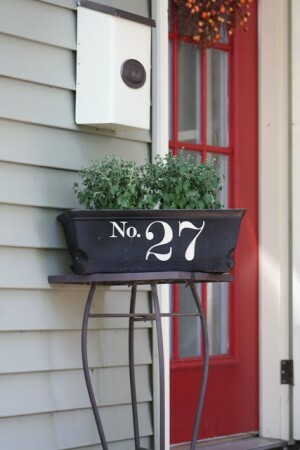 Window Box House Numbers ~ Nothing a little can of spray paint can’t fix! 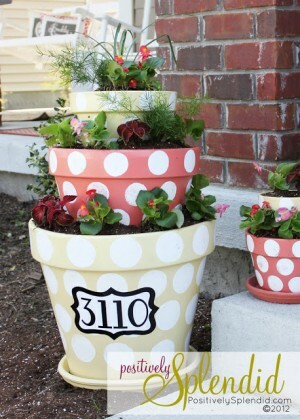 I would have never thought to spray paint a planter, but I am totally in love with this idea. Clean, simple and so easy to see from the street! Tiered Polka Dot Terracotta Planter ~ I totally have a thing for polka dots, so these little pots just make me smile. What a cute and whimsical way to welcome guests. These totally give the house a fun and cheerful feel. 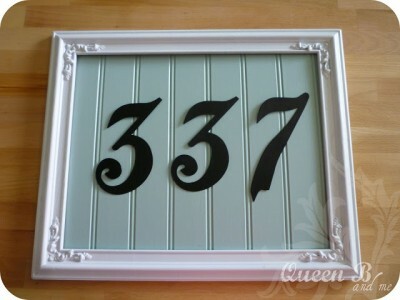 Framed House Numbers ~ I love any excuse to add a little breadboard. What a fun and simple way to draw attention to your address. Plus the color would match my chairs perfectly! 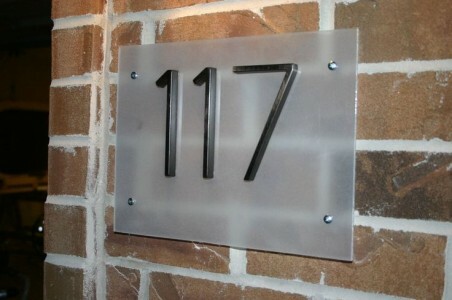 Contemporary Street Number Plaque ~ I love the clean sleek design of this piece…especially on the brick wall. 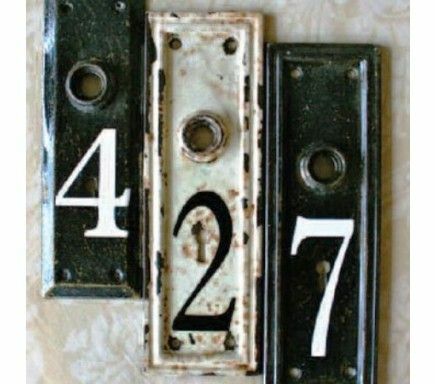 Vintage Number Keyplates ~ I love this idea! What a unique and adorable way to display your numbers. They could be added to your door, mail box or front porch wall. So sweet. 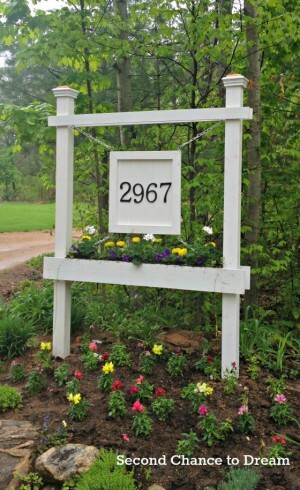 DIY house Number Sign ~ If you are up for a little bit more involved project, check out this wonderful tutorial. The addition of a little planter is such a sweet detail. When someone’s looking for your house…the first thing they’ll look for is your house numbers. Which means, it is worth making it unique and adding a little personalty! Am I right? Have you done a similar project? I would love to hear your method. This entry was tagged Front Porch, Inspiration and Ideas, Outdoor Space.